Propel your business growth to the next level with Sage 200cloud. Run a smarter, faster, more connected business and ditch the downtime with a solution that’s available 24/7, 365. Making Tax Digital (MTD) is HMRC’s move to digitise tax. As of 1st April, businesses with a turnover above £85k will now have to submit VAT through commercial accounting software. The latest version of Sage 200cloud is compliant and ready for Making Tax Digital. The right Sage 200cloud solution will help you discover new and better ways to work. Manage every element of your supply chain – from stock management, purchase order processing, and stock order processing. Enabling you to keep control of your distribution and expand your operations. 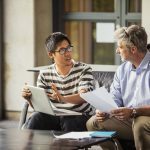 Sage 200cloud connects with Microsoft Office 365 – all you need for best-in-class productivity. Identify customer and product trends and measure performance against different benchmarks. industries and consultants that ‘sell time’.